29-years old Norwegian trombonist Henrik Munkeby Nørstebø has become in recent years one of the most interesting musicians in the European experimental, free-improvised scene. His love/hate relationship with the trombone has led him to explore the boisterous and brassy side of the instrument, expanding its spectrum until it reaches the registers of the saxophone, trumpet and clarinet. With an impressive command of extended breathing techniques he extends the instrument's sonic envelope to microscopic articulations and electronic-tinged terrains. 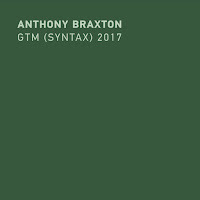 His recent releases feature his ever-expansive language in different formats. This trio with two great masters of free-improvisation - Swedish drummer Raymond Strid and Swiss, Gothenburg-based double bass player Nina de Heney, was first put together for Nørstebø's exam concert at the Academy of Music in Gothenburg on May 2011. Nørstebø played before with Strid and de Heney in different formats but the three never played together before as a trio, but Nørstebø tells that the feeling of having a common ground came fast. The trio played occasionally since that formative exam and reconvened in 2014 for a six-date European tour. The debut double-album of this trio confirms the vision of Nørstebø. It feature two whole concert sets from the 2014 tour, the first one from the last day in Oslo and the second, recorded four days before, from Vienna. Each of these concerts evolves in a different way, but on both concerts the trio moves constantly in an immediate, organic flow that alternates between segments of building tension and its release, with a fascinating sense of drama. The highly creative, explorative language of these like-minded, adventurous improvisers, their determined search for new sonic possibilities, as well as the profound trust and understanding how to push forward any idea at any given moment, is simply fantastic. The Oslo concert features five intense and urgent improvisations. The trio excels in transforming instantly fragments of sound, even almost silent, microtonal ones, into a rich, nuanced mini-dramas. Still, the trio never attaches itself to any sonic event, just letting the energy flow while enabling each musician to follow his impulses. The Vienna concert present two extended pieces, more reserved in their spirit, affected by the reverb on the room, with more opportunities for lengthy solos by all three. The dynamics of these improvisations stress the the total freedom that each musician has, and their different approaches to interaction, suggesting contrasting colors and and even rebellion within the almost telepathic interplay, all with a subdued intensity and great sensitivity to detail. This set, like the one in Oslo concludes with an intense, energetic coda. 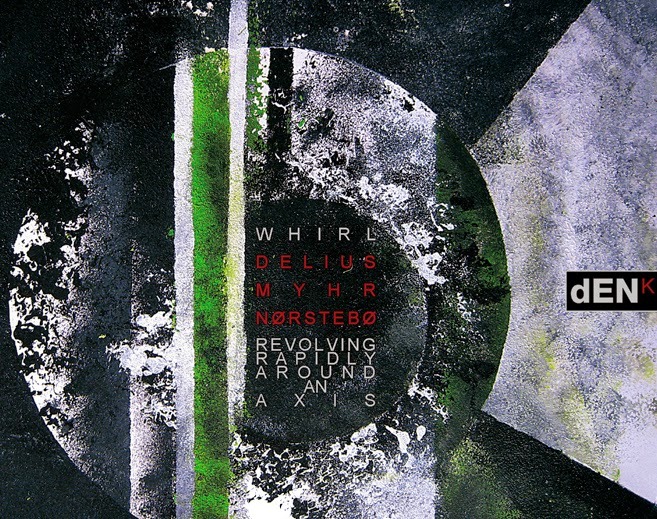 The Whirl trio - British, Amsterdam-based sax and clarinet player, Tobias Delius, member of the legendary ICP orchestra, Nørstebø and double bass player Adrian Fiskum Myhr, member of the experimental trio Bergljot - is an extension of the Viryl duo - Nørstebø and Myhr that is active since 2010. The three played together for the first time in Berlin in 2012 and immediately realized that as a trio there is a much greater potential than an ad-hoc meeting. This debut album was recorded in a studio in Trondheim, after several European tours that distilled the trio strong identity. The trio explore powerful improvised, free jazz interplay while stressing microtonal timbral investigations and giving up any need to rely on a pulse. 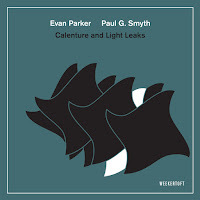 These well-executed aesthetics blend the restless, burning energy of a explorative, free jazz with a great sensitivity to detail of a chamber outfit, all in a rapid, natural manner. This unique interplay even becomes lyrical when Delius plays the clarinet, as on “Pivot”. He and Nørstebø exchanging roles in exploring delicate, gentle voices, and experimental, tough outbursts, while Myhr's economical playing anchors their flights. 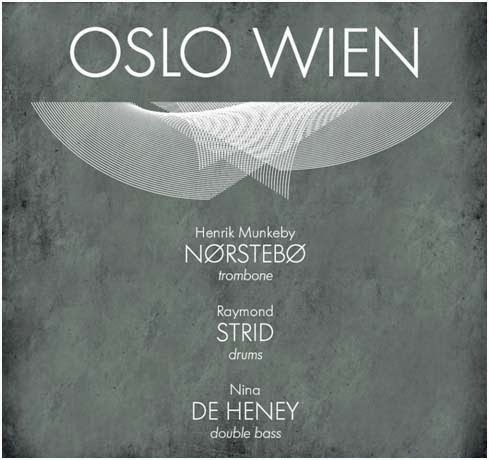 On “Birl” the expressive trombone of Nørstebø sound as extending the tenor sax of Delius and vice versa, while Myhr ups the tension with creative employment of extended bow techniques. 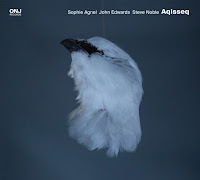 The title piece demonstrates again the impressive sonic spectrum of the trio, beginning with great bow work of Myhr who creates a spare drone sounds, expanded beautifully with light whispers by Nørstebø and Delius. The sophomore album of this Norwegian trio - Nørstebø, pianist Kjetil Jerve, who plays in the Chet Baker tribute band Baker Hansen and in a duo with trumpet player Kristoffer Eikrem, and drummer Andreas Wildhagen, who has the honor to play opposite Paal Nilssen-Love in his Large Unit, also a member of the modern jazz quintet Mopti - was recorded live at the Jazzspot Candy in Chiba, near Tokyo, the last stop of a two-week tour in Japan. The live setting brings the best of this trio. The urgency and immediacy of a live, energetic experience, the time and space to develop the trio non-idiomatic improvisations and the deep trust of understanding of each other and the expressive, rich language of each of these opinionated musicians, especially Nørstebø. 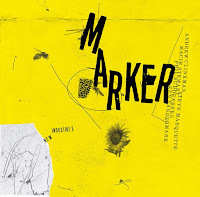 The three extended improvisations covers a wide spectrum - from abstract, minimalist segments that are affected by Morton Feldman's innovative work, the European, FMP school of free jazz, referencing the work of Alexander von Schlippenbach and the Bauer brothers, and experimental sonic searches. 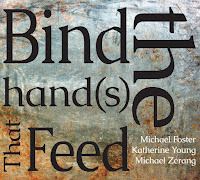 The trio moves organically between these fields of music, never surrendering to any manner of linear articulation, pulse, or dynamics but rather keeping building the tension and the intensity of the interplay and expanding its rich palette of sounds. The most fascinating piece is the second improvisation, “Meanwhile, Somewhere”, built around silent pauses, slowly spreading its minimalist, low-volume sounds through the club space, as in a mysterious, meditative ritual, only occasionally the intensity of reserved, sensitive interplay is transformed into a powerful outbursts. The wise drumming of Wildhagen anchors the conflictual interplay of Nørstebø and Jerve in a kind of weird dance that patiently becomes more dense, wilder and powerful but concludes in a gentle, lyrical slow dance. Excellent way to end an excellent concert and a successful tour. The cover continues the unique artistic line of Va Fongool, this time designed by noise master Lasse Marhuag, showing a pastoral scene from a cruel dolphin hunt. Downloaded it at a very good price (no p&p). The music is terrific. In my experience, if Strid's playing, it's worth getting. An excellent trio. 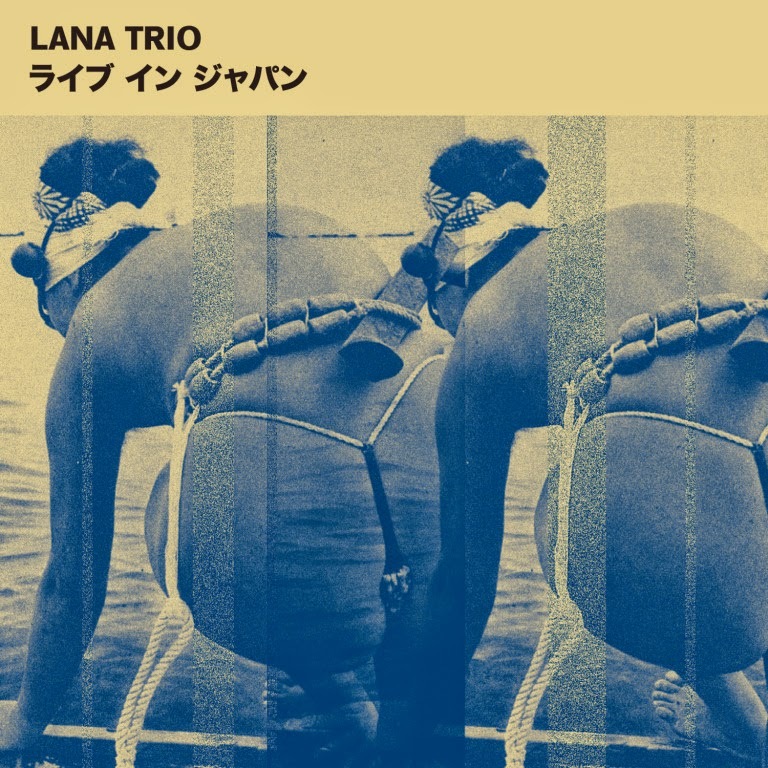 Also ordered the Lana Trio. You're right about HMN's sense of drama. He reminds me a little of Paul Rutherford.